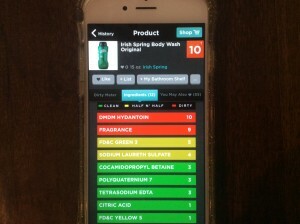 What the heck are Phthalates and what are they doing in my personal care products? Phthalates are chemicals linked to endocrine disruptions, developmental and reproductive toxicity and cancer. 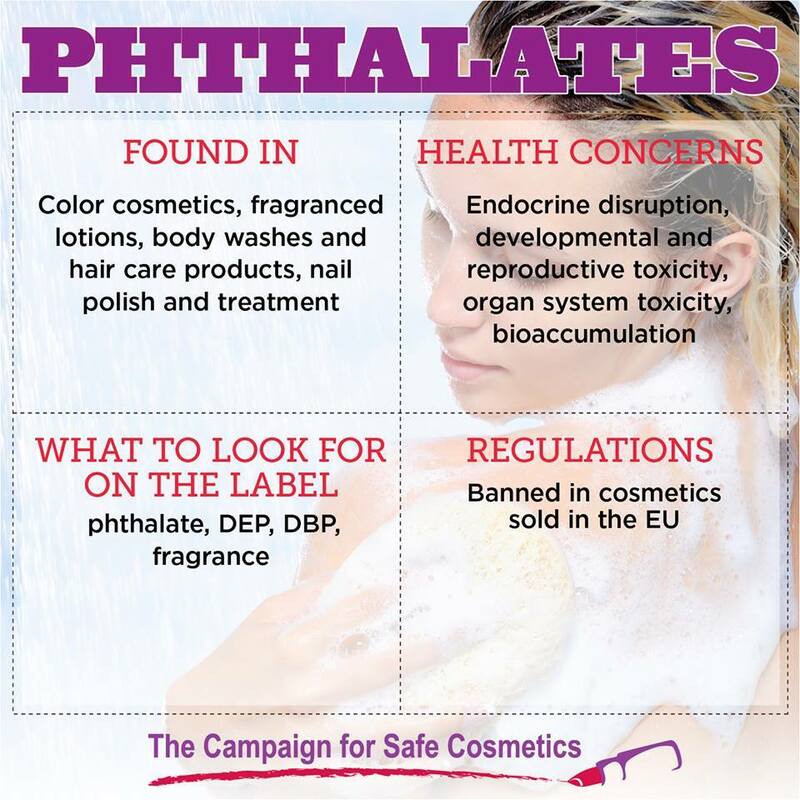 Phthalates are banned from cosmetics in the European Union (EU), but are still in personal care products in the United States. 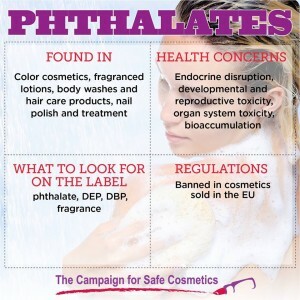 We need the United States to prohibit the use of phthalates like the EU, but until the cosmetic industry is mandated by law to forbid the use of phthalates, consumers need to know how to avoid them and buy products that are phthalate free. 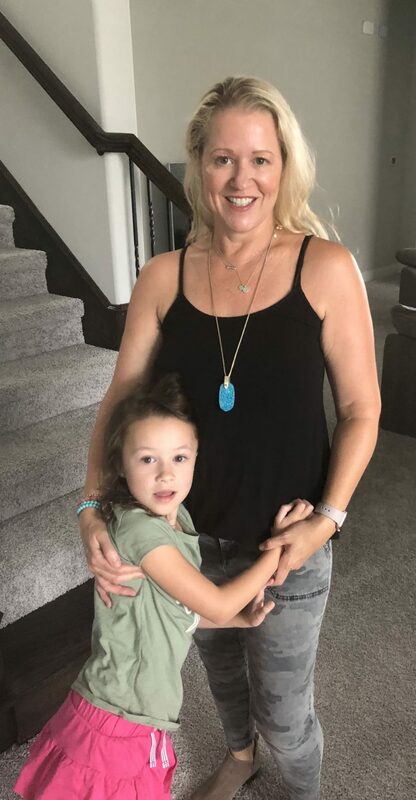 According to Breast Cancer Action phthalates are known to be hormone-mimicking chemicals, which many can disrupt normal hormonal processes, raising concerns about connections to breast cancer risk. Also, in laboratory animals exposed to phthalates during pregnancy and after birth the chemicals are known to cause a broad range of birth defects and lifelong reproductive problems. If your products aren’t on the list of Phthalate-Free Cosmetics find out the company that makes the product and look for ingredient lists on the companies website. If the company’s website doesn’t have the ingredients listed try emailing or calling the company for information. Avoiding phthalates may be difficult because if the product contains fragrance then phthalates may be a component. Companies are not required by law to disclose the ingredients that are in the fragrance because of trade secret laws. Many cosmetic companies not only argue trade secret, but that the level of harmful chemicals in any one product is not enough to harm you. However, we all know that we use more than one product a day which could possibly contain harmful chemicals like phthalates. As a result of the exposure of multiple products a day for extended time periods, scientists are finding accumulations of chemicals like phthalates in our bodies. This is crazy, I don’t want toxic chemicals in all my beauty products and in my body. Hopefully, one day all over our products will be free of the toxic chemicals, like phthalates, but until that time we need to empower ourselves with knowledge and choose our beauty and personal care products wisely.